Is Dating Over 50 Still Possible? Whether you are dating for fun or looking for a partner to spend the rest of your life with, endless bad dates and overused pick-up lines can make you want to give up and stay single forever. Let’s face it, if you are in the dating over 50 crowd, it is very likely that you have been there and done that. You were most likely married, divorced, widowed or have adult children with someone you are no longer seeing. However, these events are not necessarily bad things. Your experiences have taught you exactly what you are looking for in your ideal match and you are not interested in wasting a lot of time on meaningless dates. The only problem is, you have been out of the dating game for quite some time and don’t know where you should go to meet other singles your age, right? Today, I would like to tell you to be encouraged. Millions of older singles just like you are looking to actively date. So where are they hiding you ask? If you haven’t already given online dating a try, you are truly missing out. Contrary to popular belief, there a ton of online dating sites dedicated to baby-boomers. Online dating has essentially revolutionized how single people meet. One of the many benefits of dating online is there is a lot less pressure. It is so much easier to take your time and provide a sensible response to a question from the computer in the comfort of your living room instead of blurting out the first thing that comes to mind on a traditional date. Online dating allows you to slowly progress from talking via email, to phone conversations and finally dating in person. Another benefit to online dating is you can actually choose your ideal match by viewing dating profiles and get a sense of a person’s interests, hobbies, experiences and more. That way you have a better chance of meeting someone with similar interests rather than wasting time on a traditional date only to find out you have nothing in common with the person. If you are new to online dating, finding the perfect dating sites over 50 website can be a challenge. There are literally thousands of websites to choose from. 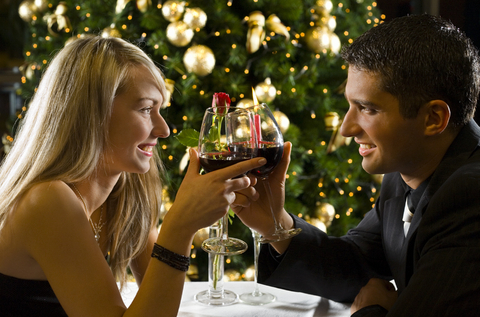 It is recommend to find a dating website with positive reviews and go from there. Do not be afraid to seek feedback from family, friends or co-workers that may have tried online dating in the past. Once you have identified a dating site you like, start by signing up and completing your profile. Your profile will include a picture and brief biography. Make sure your profile is fun and exciting to read, but be yourself. Don’t be afraid to jump in a chat room and flirt with other members. At the end of the day you have no obligation to anyone that you decide to strike up a conversation with. Lastly, always remember, dating over that age of 50 is all about what you make it. It can easily be just as fun as dating was back in your 20’s. You will never be too old to find your ideal match so instead of complaining you are lonely, commit to finding the one and give online dating a try.